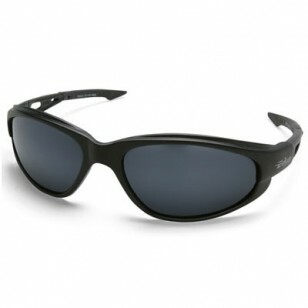 The Dakura from Edge Safety Glasses is our best seller and is now available in our polarized safety glasses version. The Dakura Polarized Safety Glasses are constructed with durable light weight vented Nylon temples for extreme breathability. Wraparound design eliminates side shield distortion. Features polarized lenses, a special filtering layer that blocks out reflected light from below and glare from above. By allowing only direct light this lens maximizes your ability to see what you want to see while eliminating glare and reflections that obscure your vision. G-15 coating maximizes the transmission of light at 555 nano meters (green & yellow light). Provides the best contrast and image definition while offering a cooling sensation on the eyes. 13% Transmission of light. With lenses like these, there's no telling what you can get done. Lenses: Polarized G-15 Silver Mirror - Reduces glare, provides contrast and image definition while offering cooling sensation to the eyes. Commonly used for indoor applications.